The BRINOS team arrived in Nepalgunj for the 51st Ear Camp at the start of a ten-day “Transport Strike”, called by opposition parties in advance of the Nepal General Elections. This made transport difficult for some Nepali patients and the atmosphere in the city was tense. 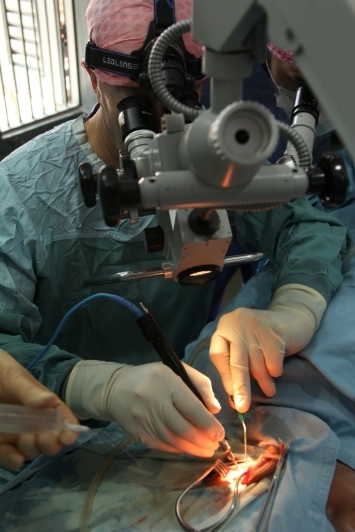 Despite these hindrances the camp was conducted successfully with 107 major surgical ear procedures being undertaken. 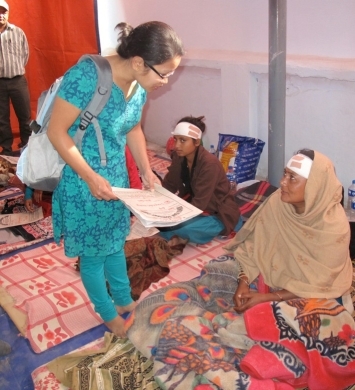 Many of the patients had travelled across the border from the very poor area of India south of Nepalgunj. The anaesthesia on this occasion was administered by Dr Purna Joshi, a Nepali doctor, currently working in Wakefield. 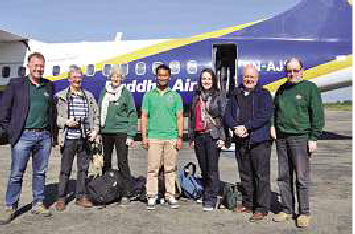 This was the first time that a Nepal trained anaesthetist had joined a BRINOS team. Purna Joshi (anaesthetist – Pinderfields Hospital, Wakefield)? Sue Clarke (ENT Surgeon – Pinderfields Hospital, Wakefield)? Rebecca Perkins (Theatre Nurse – Frimley Park Hospital)? Practitioner” and Scrub Nurse - British Royal Army Medical Corps) - and actually a native Nepali. And we must not forget the help from the British Army’s Humanitarian Medical Mission. See a report by Cpl Tikajit Gurung, an extract from the British Royal Army Medical Core Prospectus.